In what may be the largest worker strike in history, last week India came to a halt for two days when at least 200 million workers - about 16% of India's 1.25 billion population - in the country's public, services, communications and agriculture sectors staged a strike across the country organized by ten labor unions against what they called the anti-national and anti-worker policies of the BJP-led government, and against a new labor law that would undermine the rights of workers and unions. Unions demanded the enactment of the Social Security Act to protect workers and a minimum wage of 24,000 rupees (more than US$ 340) for the unorganised transport sector. Workers in banking, insurance, healthcare, education, transport, electricity and coal mining also joined the strike. 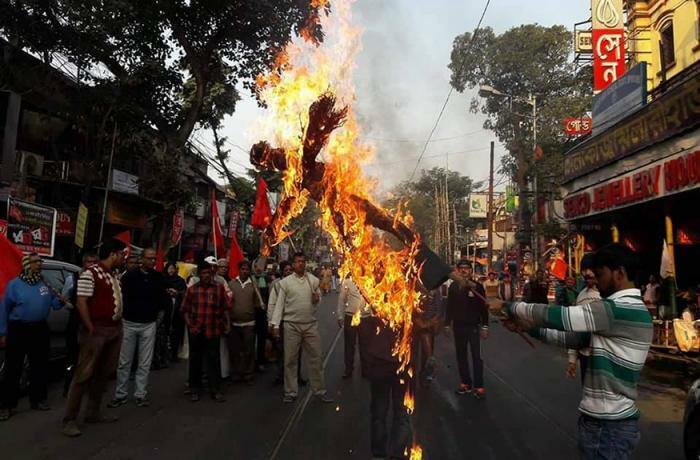 Student groups also protested as did farmers’ associations that have threatened to call a gramin hartal, a rural strike. Farmers have been protesting for months over the harsh conditions in the countryside, burdened by debt and an wave of suicides. 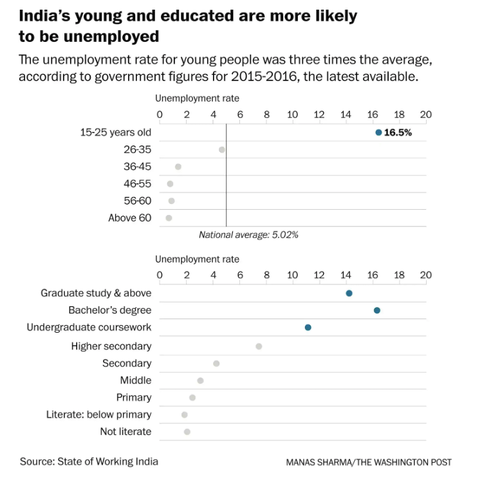 An analysis performed by Azim Premji University shows that unemployment between 2011 and 2016 in nearly all Indian states was rising. The jobless rates for younger people and those with higher education also increased sharply. For instance, for college graduates, it grew from 4.1% to 8.4%. Ajit Ghose, an economist at the Institute for Human Development in Delhi, said that the country needs to generate jobs not just for the 6 million to 8 million new workforce entrants annually, but also for people like women who are working less than they would be if they could get jobs at a decent wage. 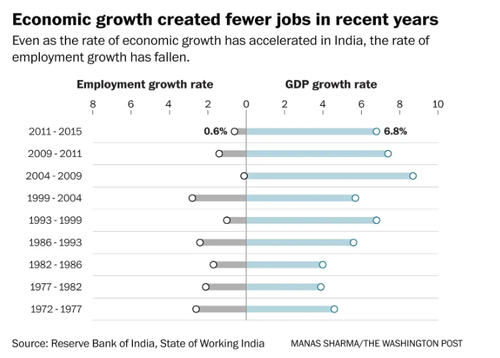 The same economist notes that India has about 104 million "surplus" workers. 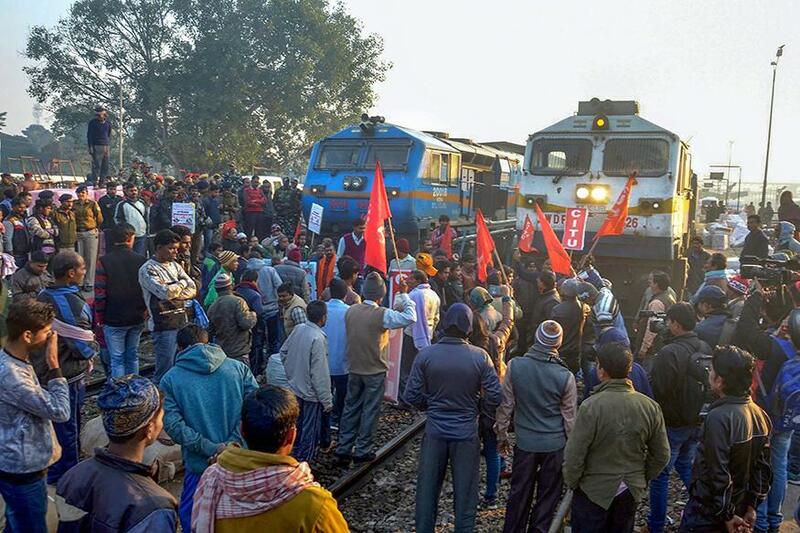 What happens after this unprecedented show of force by India's workers? Probably more of the same: unions threatened to follow last week's strike with an indefinite strike if government does not heed to their demands. The general secretary for one of the labor unions, HMS, said the unions collectively decided to go on indefinite strike if the government does not respond to the “historic” strike this time. Whether the unions will get what they want is unclear, but one thing is certain: India's even more populous neighbor, China, is very closely following these restive worker developments and hoping and praying that its own population does not get similar thoughts.